06.06.2005 - I got this dead squirrel out of the attic. It was a girl, and it died out of attack. Someone or something had attacked it with poison. It sniffed it and ate it and that was the roison. Reason a female squirrel died - due to the anticoagulant in the rat poison. Squirrels rarely eat rat poison, so I was surprised. They usually don't eat anything up in the attic, and will normally only eat outside. However, this one managed to eat some poison, at least my autopsy (brief glance and nonchalant assumption) results say that it did. I guess that it could have died of natural causes as well. I just like for homeowners to feel like they made a mistake in using poison, because poison is a crappy idea - it's inhumane and doesn't provide a real long-term solution. Anyway, this house did have squirrels in the attic, and they were chewing and making a lot of noise, and the homeowner was fed up with it all, and did throw poison up there, and it did die, and it did cause a bad smell, and so I came and I took care of the situation. The squirrel is in heaven now, heaven being a Glad Odor Seal ™ bag. The dead squirrel in the attic is no more, and the house smells fresh and clean again. I caught and removed the remaining critters and fixed the holes they used to gain access to the attic, and the job was done. No more problems for that family of any kind, ever again forever, amen. How To Find A Dead Squirrel In The Attic - You may not believe it, but if you want to know how to find a dead squirrel in the attic is not as difficult as it may sound. Sure there may be some clutter in your attic, but that does not mean that it will be the one place where it will be hard to find it. That is reserved for walls and the ceiling. In the attic you will have one thing going for you which will seem unpleasant but that in the end it will make things easier, and that is the ventilation is almost non-existent. Why is the lack of ventilation a good thing? For starters the smell will be stronger (as we said before, it will make you feel very unlucky) and that means that you will find the dead squirrel faster. So to answer the question of how to find a dead squirrel in the attic all you have to follow the stench. Look in the boxes that you have up there but do it in stages. Look in the place where the smell is strongest and you will find the dead squirrel in no time. 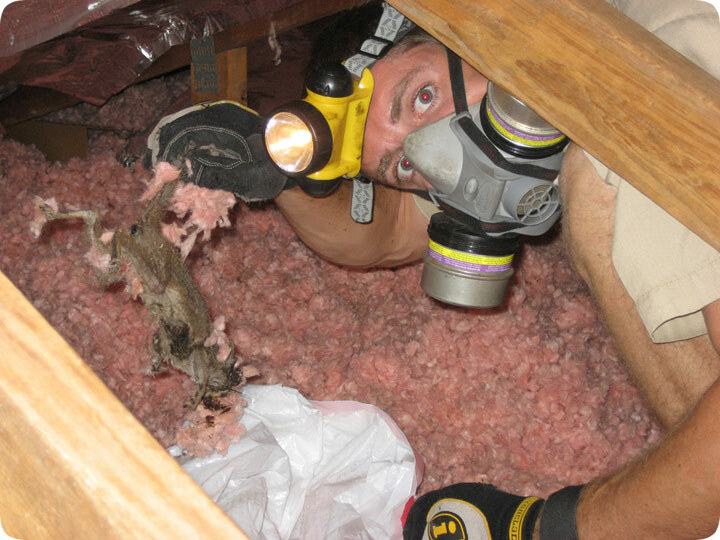 Also check for possible nesting places in the insulation of the home.